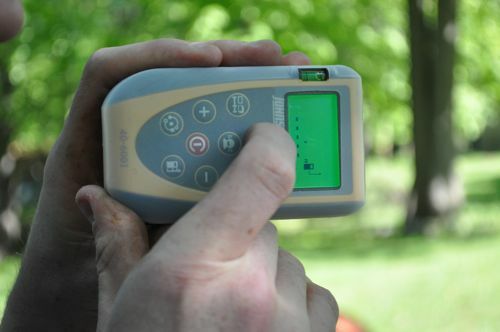 This 165' Laser Distance Measure helps the user make measurements quickly and easily, even in awkward positions. 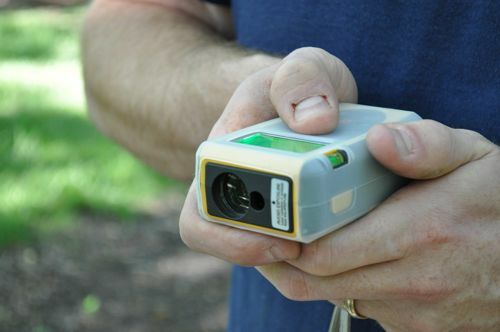 The following review descirbes how Ethan from OneProjectCloser.com used Johnson Level's Laser Distance Measure and how it helped him to be more efficient. For Ethan's review in it's original form on OneProjectCloser.com click here. What’s Better Than a Tape Measure? When I talk to tool manufacturers, invariably they’ll ask me “How can we improve this __________ “, and I’ve learned one of the most popular answers to that question is “Add a laser.” You could be discussing anything from sharks to concrete cutters, and the answer is the same. So what’s better than a tape measure? A tape measure with a laser (which is sort of what a laser distance measurer is). 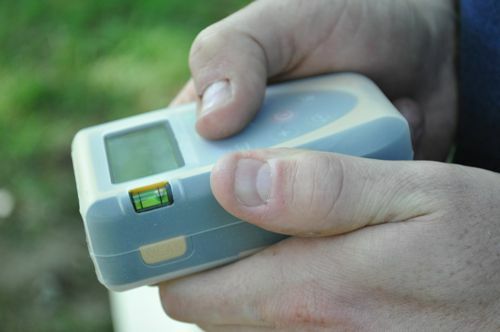 It was exciting when Johnson Level & Tool offered the chance to review their Laser Distance Measure (LDM), model #40-6001. LDMs are real useful for doing estimates, and I’d argue that every carpenter, painter, flooring contractor, deck installer, roofer, builder, etc. should have one in their tool box. 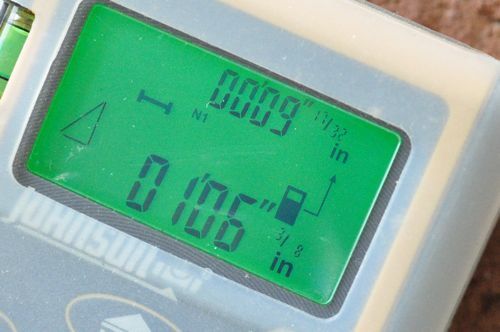 Keep in mind, LDMs don’t replace the traditional tape measure as they both have different uses. On a side note, if you ever do have feedback for manufacturers, I’m happy to pass that along. Constructive criticism is like a gold mine for product managers. It helps them to know what products people actually want and how to make the next generation models better. 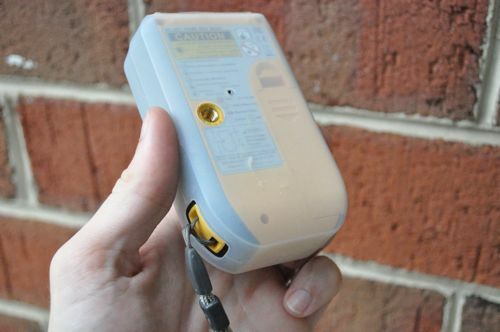 Johnson packed a strong feature set into a small form factor. With the 40-6001, you’ll find measurement memory, an integrated level for better accuracy and sound activation. All the expected measurement modes are included- length, area, volume, and indirect. The carry pouch, wrist strap and rubberized cover offer good protection, and I liked the LED backlight. Accurate to +- 1/16 of an inch, 165″ max distance is more than enough for most users but may not be enough for commercial contractors. Be sure to read through the manual and keep it in the carry pouch for future reference. 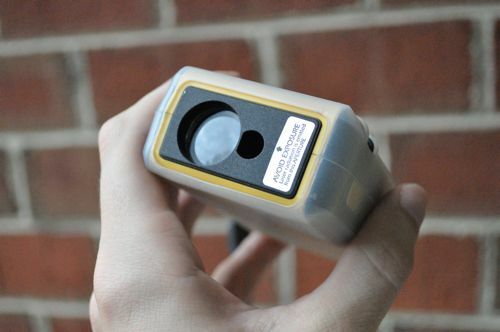 Johnson released this laser distance measurer exactly one year ago. You can see the press release if you don’t believe me. Since that time, competitors have integrated other features like angle measurement, and rechargeable batteries, and I’d expect to see that in the next model. 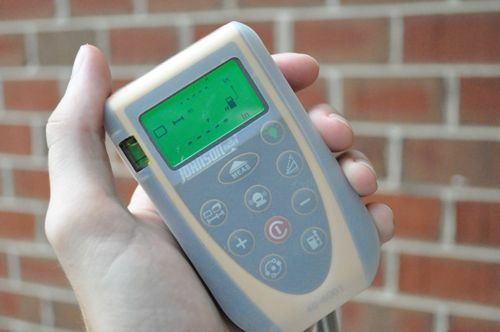 I also think the addition of a few magnets like manufacturers have done with levels will make this tool even better for HVAC professional and plumbers. Johnson sent the LDM a few months back, and I immediately started walking around the house checking the distance between me and everything else (like small children and various furniture). I used it for projects like estimating how much floor coating and drywall we’ll need in the new workshop. It was also dead useful to ensure we poured the concrete shed base in the right place. We wouldn’t want to accidentally end up in the easement or worse, a neighbors yard. It took a bit to get comfortable with the symbols and how to move between the different measurement modes. Just about every button has two different functions. For instance, the button for sound activation doubles as the memory recall button. Other reviews have noted that the fractions are rather small, and I’d agree. I found it was really easy to take measurements and calculate area and volume. The indirect measurement takes advantage of the Pythagorean theorem (flashback to high school Trig). Johnson provided three different ways to achieve an indirect measurement – single, double and triple. Just make sure you’re familiar with each. The manual fits nicely inside the carry pouch, and I’d recommend keeping it there for future reference. Johnson included a couple other niceties like sound activation, a small integrated bubble vial to improve accuracy, memory for up to 10 measurements and an LED backlight. Stake out mode is useful for measuring repetitive distances, and the reference point can be set to front, tripod and rear. I found the #40-6001 listed for about $150, which is on par with competitors’ products with similar specifications. I did find a comparable LDM for $130 and we’d expect a price in that ballpark when Johnson releases a new model.